Things to do in Venice! Venice, Italy is one of the most popular cities not only in this country but throughout Europe and the whole world alike. It sits in a group of 118 islands that are separated by canals and linked by bridges. Venice is together with its lagoons UNESCO World Heritage Site and is also considered to be the most beautiful city in the world. Below I have prepared a list of Things to do in Venice including top sights, places, and attractions to see in Venice. I’ve been to this city 2 times already and still have something to discover! 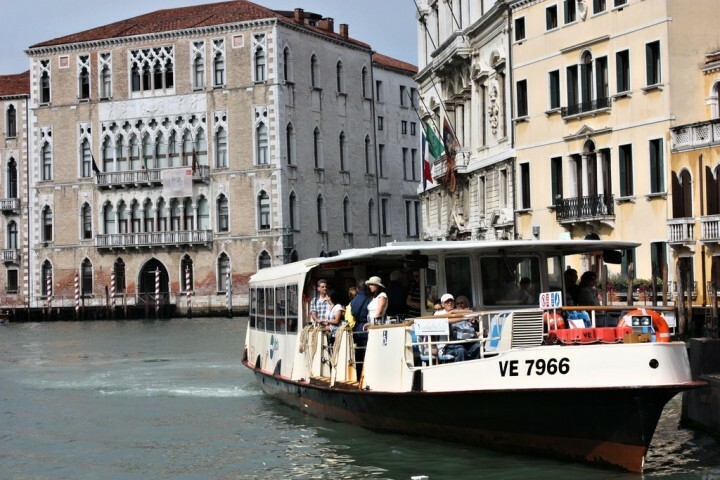 Getting around in Venice can quickly become expensive and time-consuming if you don’t have a pass for transports. We recommend that you use an ACTV Pass for all your journeys in Venice. 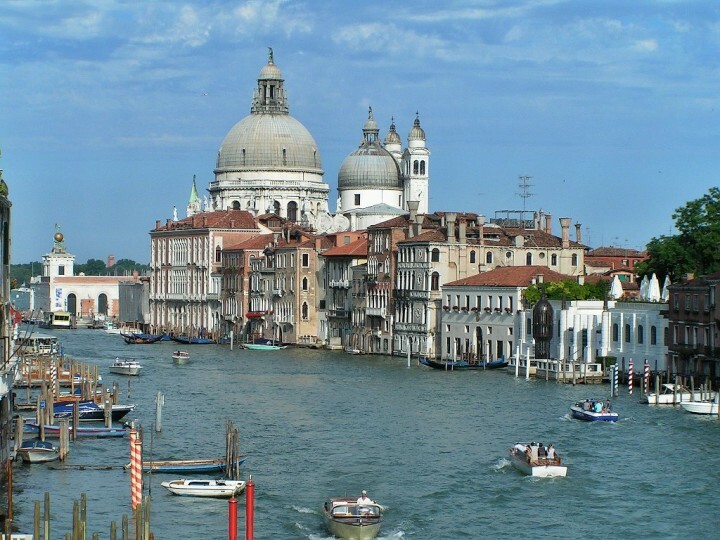 In particular, one must take some time to visit the Grand Canal of Venice where you can avail of transportation modes such as water buses called vaporetti and private water taxis. Cruising through these canals will surely be an adventure and new experience that you will never forget. Admire palaces that surround this canal. 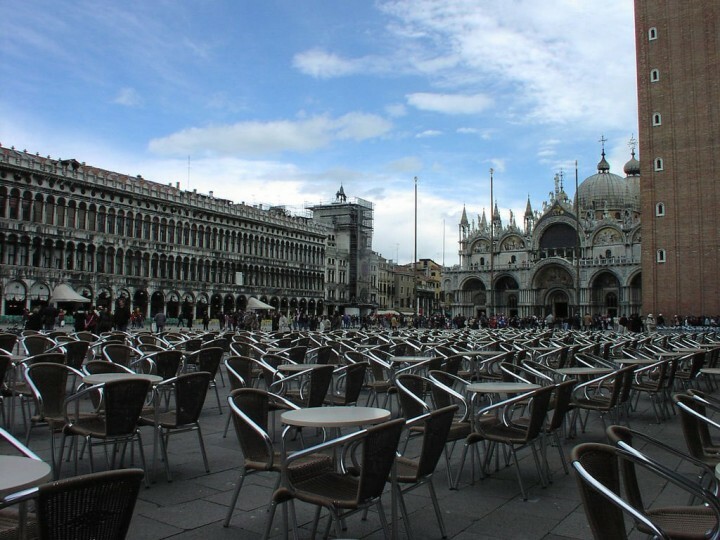 Officially known as Piazza San Marco or in English St. Mark’s Square, this place serves as the principal public square of Venice and is considered to be one of the busiest places in all of Venice. It is here where you can enjoy your most expensive cafe ever in any of the restaurants that surround the square, enjoy life music and watch the travelers all around. 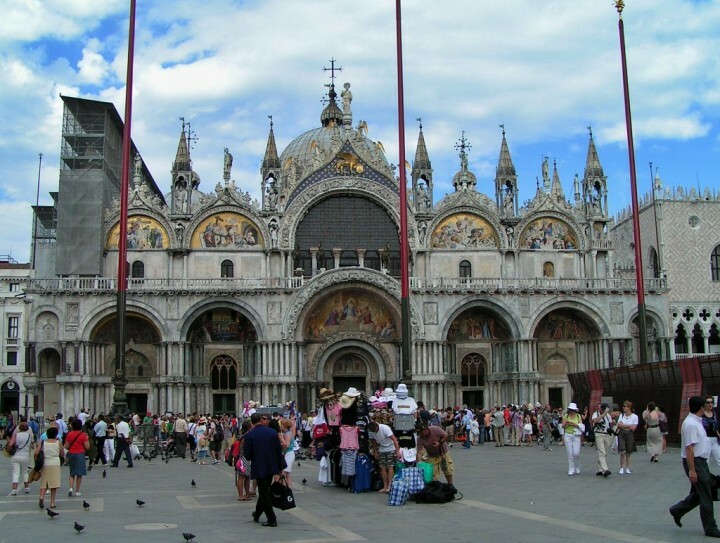 If you are going to Venice, you would definitely not dare to forget to visit St Mark’s Basilica which is considered to be the most famous of all the city churches of Venice and is a perfect example of Italo-Byzantine Architecture. 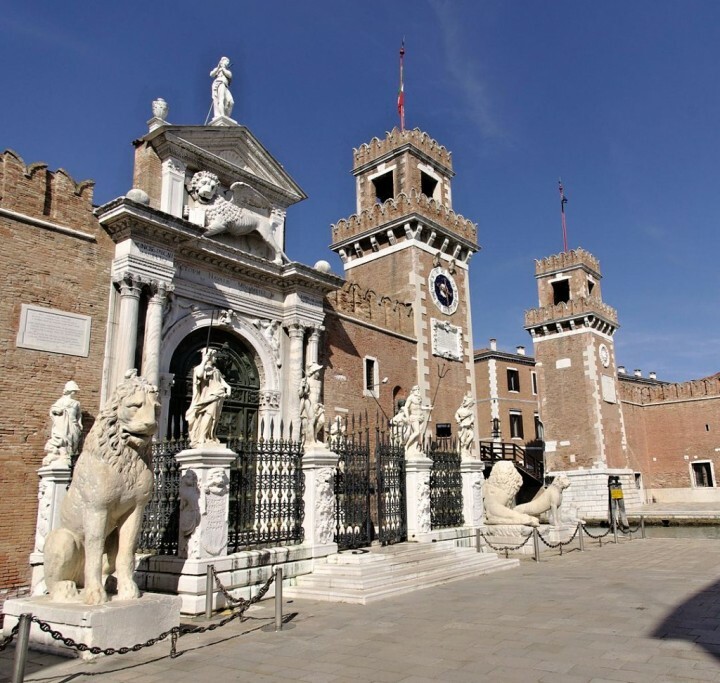 Standing aside Campanile on Piazza San Marco, it is a place that is not possible to miss while on your trip to Venice. St Mark’s Campanile is a narrow bell tower with a height of 99 meters. The original tower collapsed in 1902 but was rebuilt in 1912. 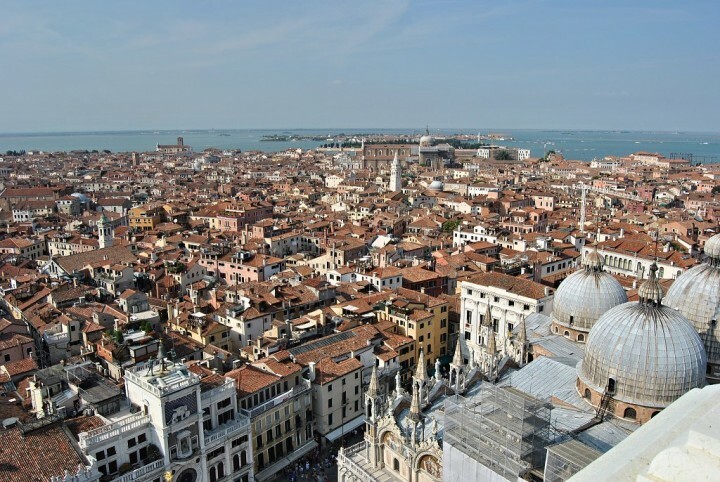 You can get to the top with the lift from where you can enjoy beautiful views across Venice. 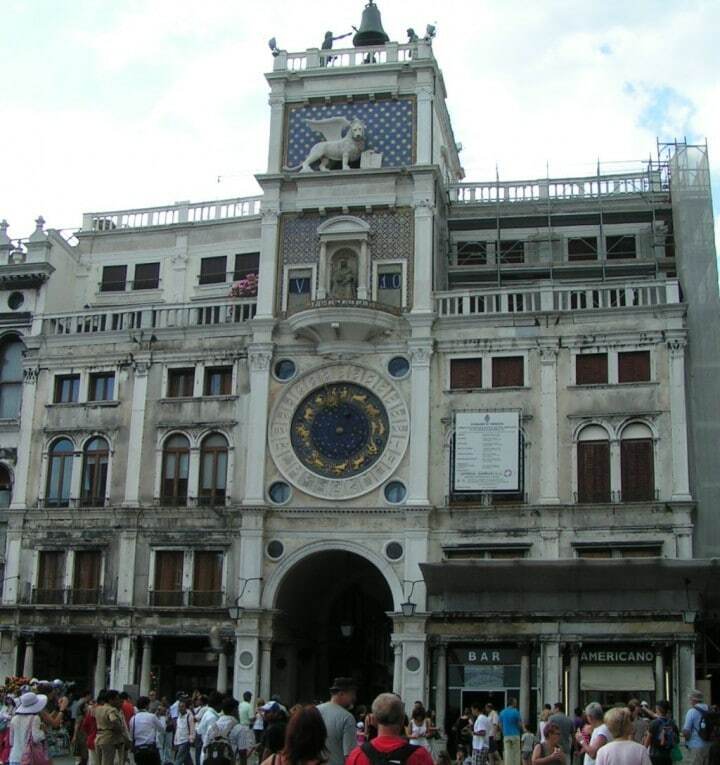 Torre dell’Orologio is the Renaissance clock tower from the 15th century located on Piazza San Marco. This is why the tower is known commonly as St Mark’s Clocktower. You can visit the tower and see the complicated clock machinery for an admission fee of €12. How would you like to visit the place that served as the residence of Doge of Venice, the former supreme authority of the Republic of Venice? 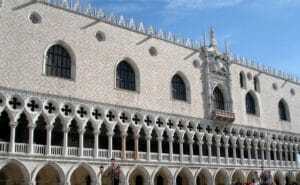 If you would want to make that happen, then go to Doge’s Palace which is now an official museum in Venice. 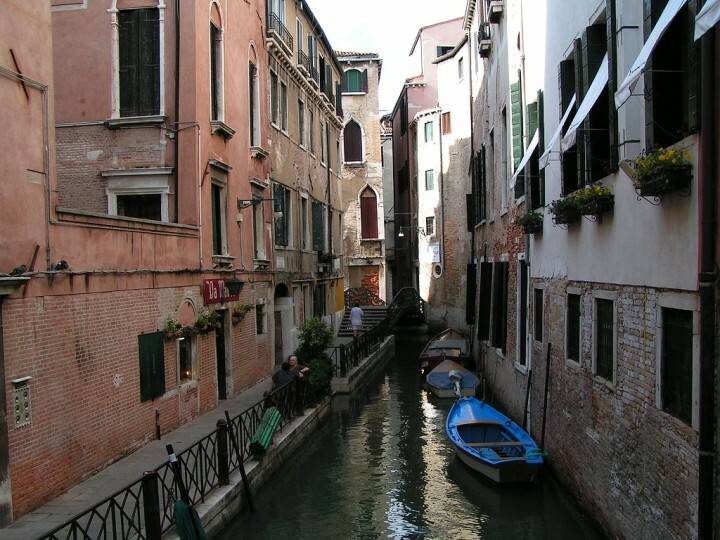 For a little adventure while you are in Venice, try traveling into what is popularly known as Venetian Alley Maze, which is essentially made up of narrow canals that pass through in between buildings. Venice is full of such narrow streets and they are usually empty, so if you are looking for some romantic places away from busy St Marco square, then turn to some of the lanes. Galleria Franchetti is a gallery located in Ca’ d’Oro (“Golden House”) – an imposing Gothic palace, which now houses a museum where you can see how original Venetian palace of the 15th century looked like. 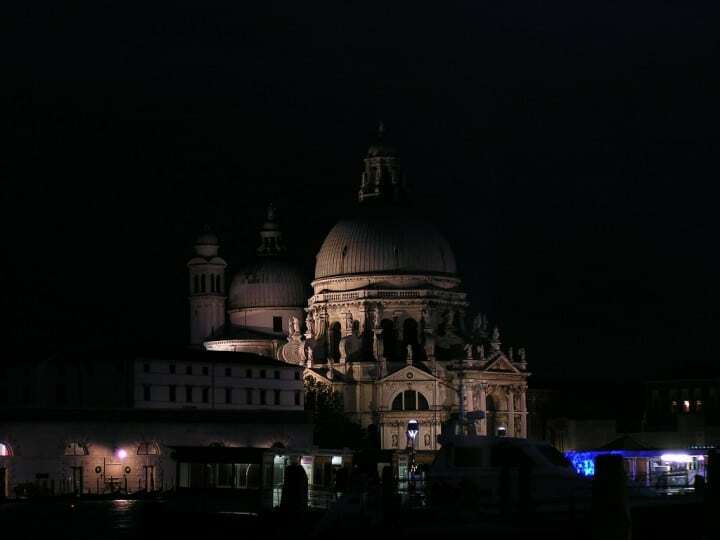 Renaissance Basilica di Santa Maria della Salute is one of the most dominant sights of Venice. 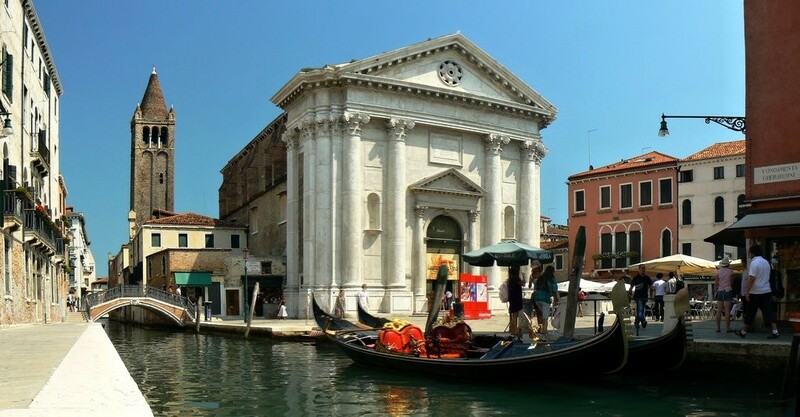 This unmistakable building with a white dome was built at the mouth of the Grand Canal and has been a great feature of this romantic city for 350 years. Do you want to see a bridge that literally sets places apart? 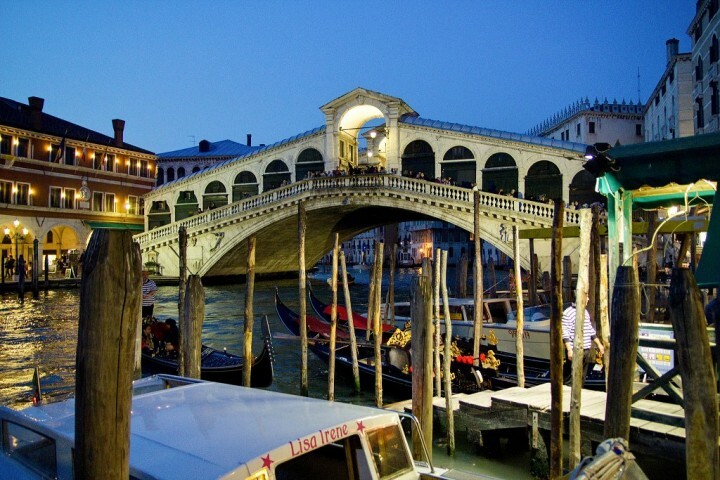 Then you should go and see the Rialto Bridge in Venice. It is known to be the oldest bridge across the Grand Canal and it separates the districts of San Marco and San Polo. While in Venice, you can also visit the Bridge of Sighs which is a famous landmark in the history of the city, being the place where, according to the accounts of older people of Venice, prisoners would sigh because of their final view of the beauty of Venice. Wanting to see some pre-19th-century artworks? 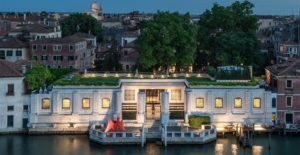 Then take the time to visit the Gallerie dell’Accademia in Venice which serves as the home to different artworks from different popular artists of the era before the 19th century. 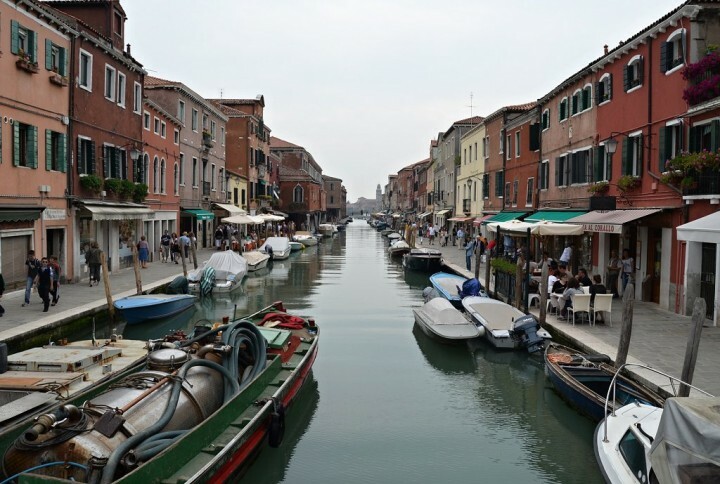 Enjoying island hopping is also possible in nearby Murano, which is a series of islands that are amazingly linked by bridges over the Venetian Lagoon. Murano island is world renowned for the sleight of glass masters. The island has many picturesque bridges over the canals, but you will hardly find any notable palace here. Instead, there are a lot of nice and small colored houses. The streets are almost empty with no tourists at all, so if you have enough of crowded streets of Venice, come here! It is not a place, but a mode of transportation. You can take Vaporretto which will take you through canals up to the nearby islands, Lido as well as Punta Sabbioni. It is the best option if you need to move around the city for cheap. You should not skip this because the tour is an adventure itself. 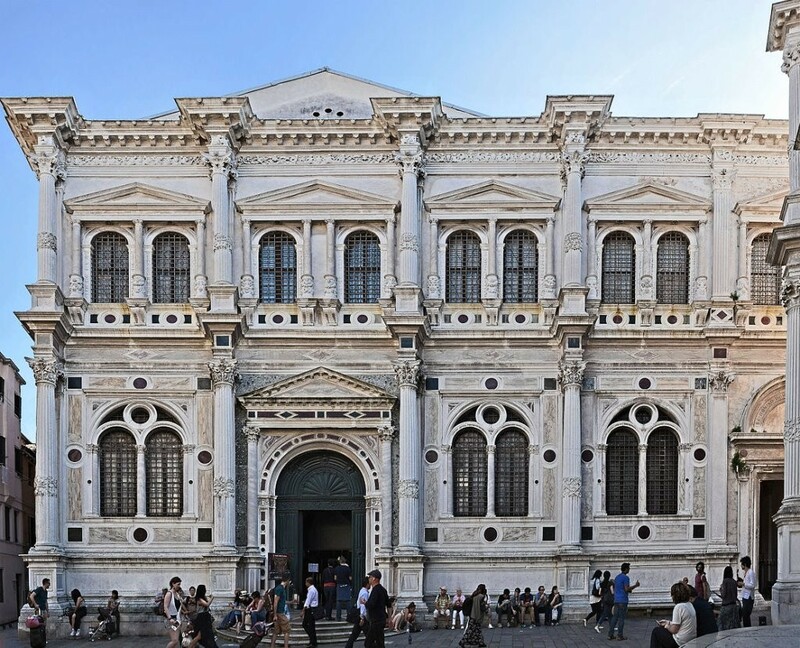 One of the most beautiful and famous buildings in Venice is Scuola Grande di San Rocco. 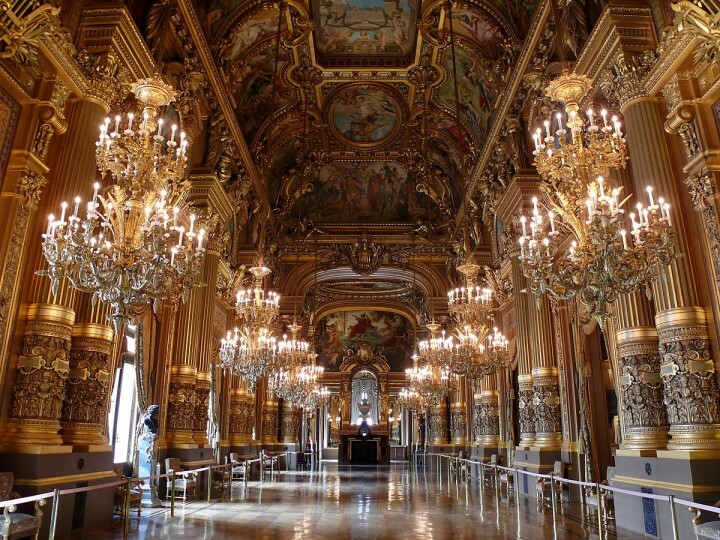 It is definitely one of the Venetian jewels you should really not miss on your visit to Venice. And if you did, you have to return back again! It is notable for Tintoretto’s paintings which you can see inside once you pay the admission fee of €10,00. Apart from the famous Scuola Grande di San Rocco, a small square of Campo San Rocco is also a home to the church of San Rocco. 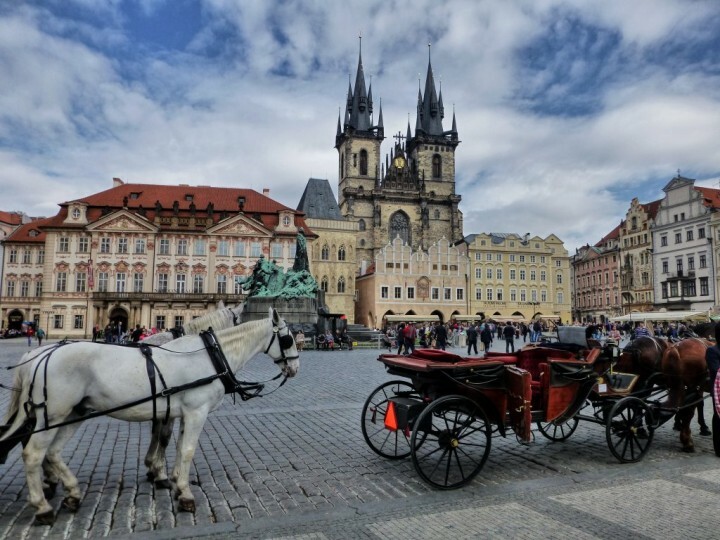 It was designed by Bartolomeo Bon in 1489 and its construction was finished in the early 16th century. 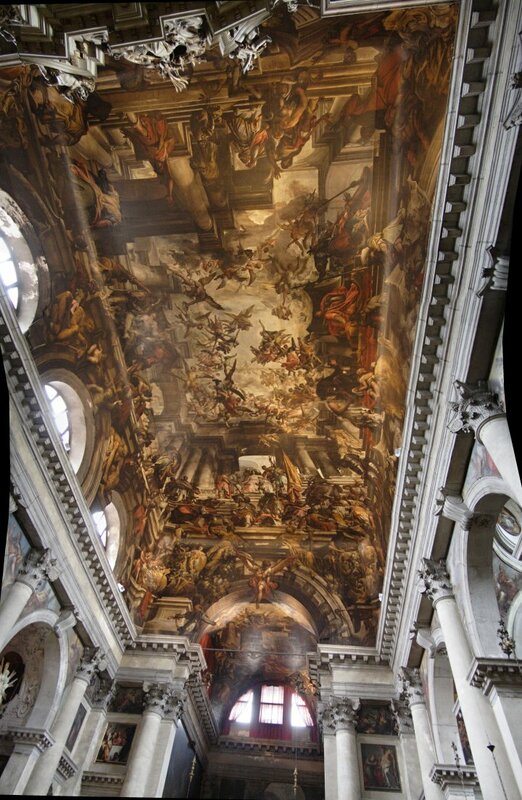 The interior boasts Tintoretto’s paintings which depict stories from the life of St. Roch. 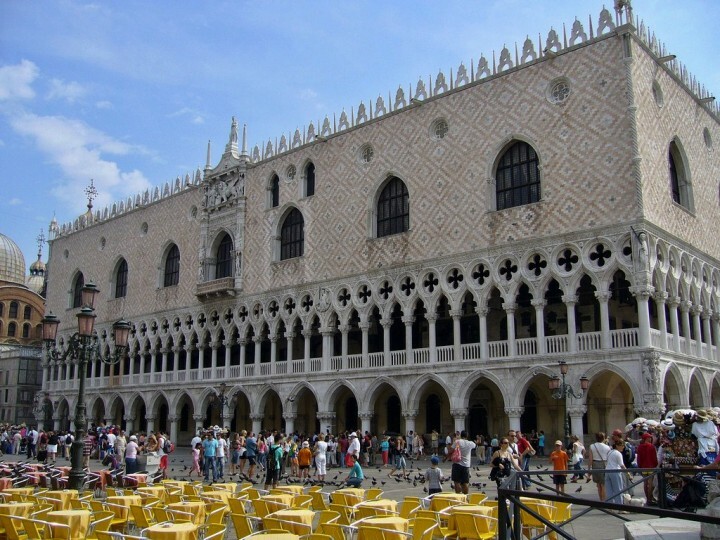 You will need to buy one ticket for €10,00 in order to enter both buildings, the church, and Scuola Grande as well. 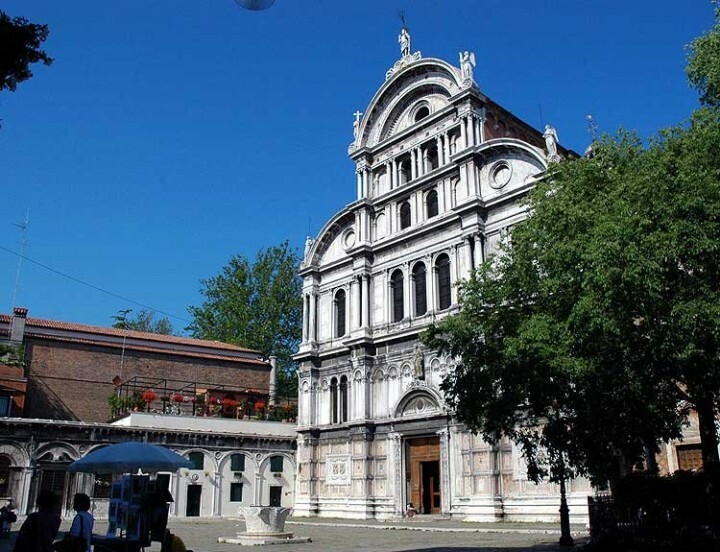 The picturesque square Campo San Zaccaria is a place where you will find the famous church of San Zaccaria. Situated in one of six parts of Venice known as Castello, this 15th-century church was built in High Gothic and Renaissance styles. It is dedicated to St. Zechariah, the father of St. John the Baptist, whose remains are allegedly deposited here. 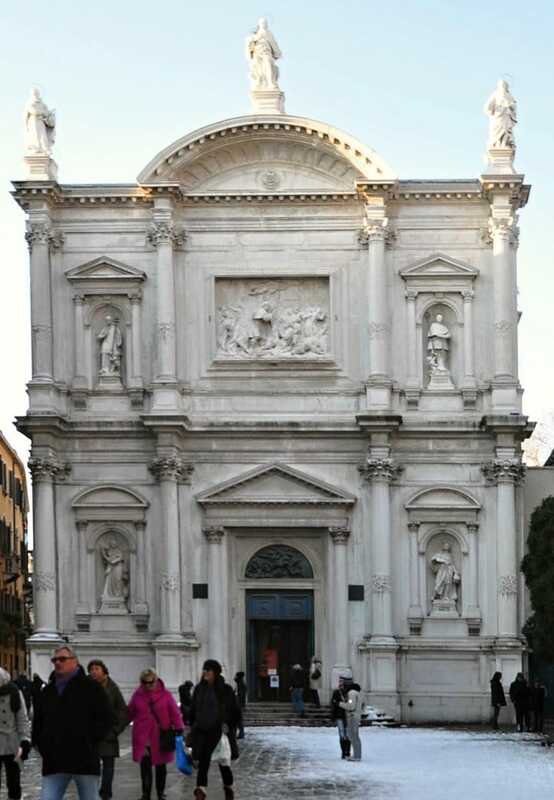 Right in the heart of Venice, in Piazza del Popolo, you will find the church of Santa Maria dei Miracoli. 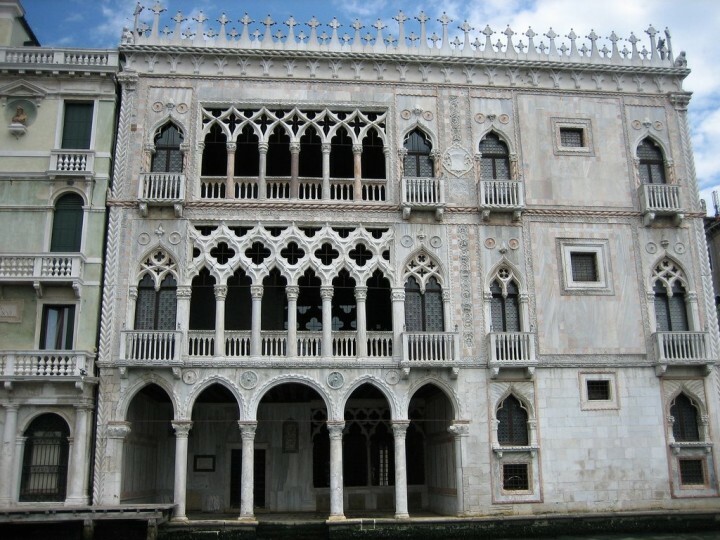 It was built in the 15th century in early Venetian Renaissance style. 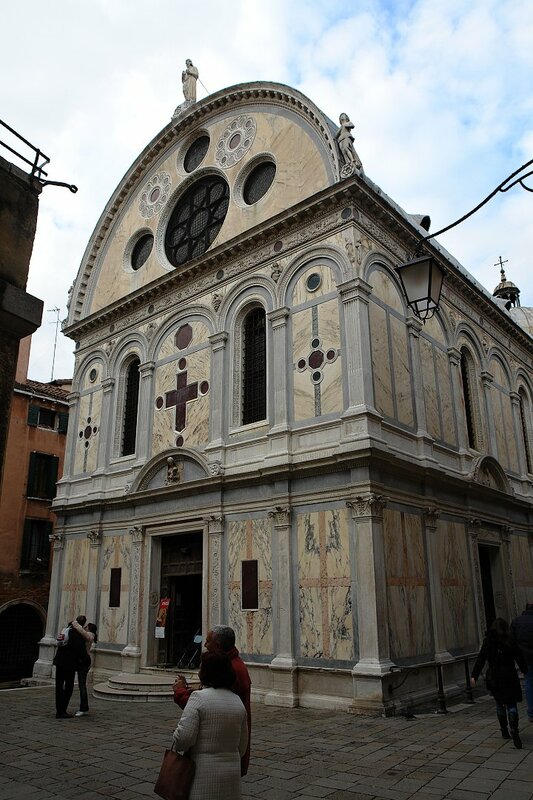 The church boasts wonderful decorations from colored marble, and as such immediately enchants visitors with its facade. But the church is beautiful not only from outside but its interior is worth visiting as well. It houses miraculous image of the Virgin Mary, which was created in 1409. On the Campo San Pantalon is another 17th century church of San Pantalon. It was constructed between the years 1668 and 1686. Its most impressive part is a painted ceiling, which includes a total of 40 scenes from the martyrdom and apotheosis of Saint Pantaleon. They were painted by Giovanni Antonio Fumiani who worked on them for 24 years (1680 – 1704), but then reportedly fell from the scaffold and died. Campo dei Frari is another important square in Venice and is also home to some of the most important monuments of Venice. 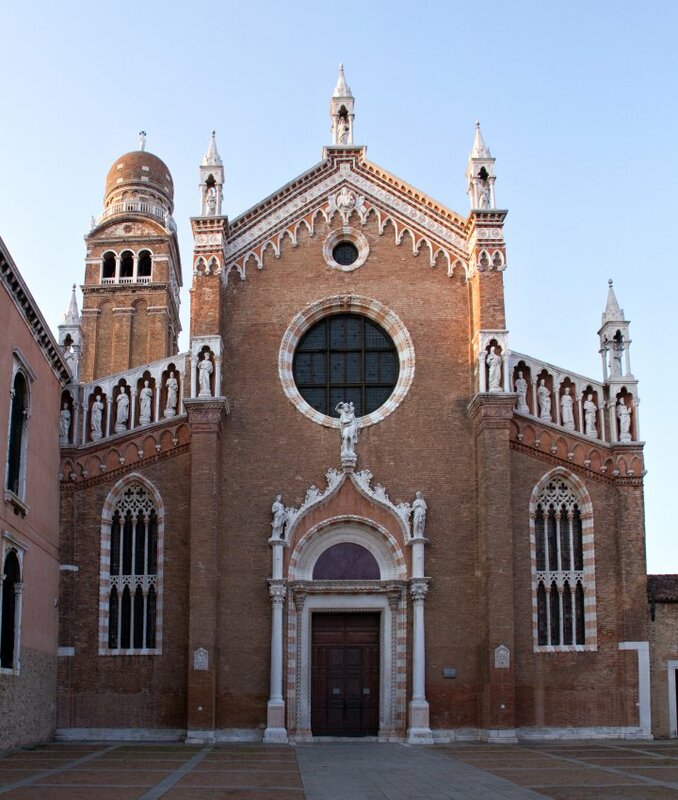 Its main landmark Basilica di Santa Maria Gloriosa dei Frari dates back to 1338 – 1443. However, the first church was built on this place already in 1250. Its 83 meters high tower dating back to the 14th century is the second highest campanile in the city. 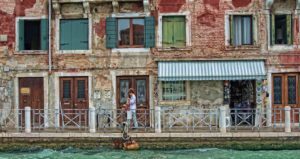 I have mentioned Murano islands already above, but what a visit to Venice it would be without visiting the picturesque colored houses of Burano island? 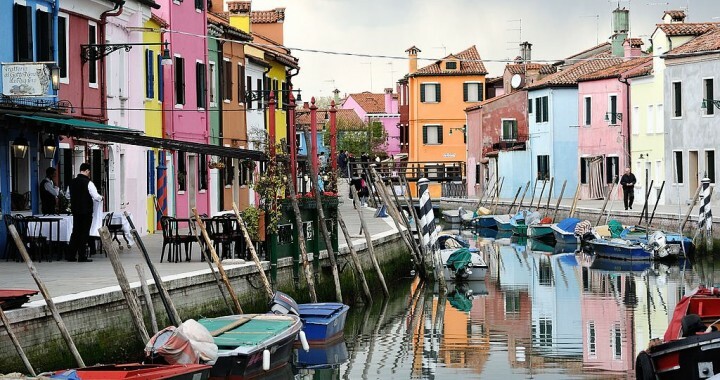 Burano is considered the pearl of the islands around Venice. It is the most colorful island of all of them in the lagoon. Even Burano consists of several islands which are closely adjacent and interconnected by bridges over narrow channels. It’s an exceptional place usually described in the guides as a favorite island among artists, poets, and philosophers. One of the largest, most beautiful, as well as the most important churches in Venice, is the one standing in the Campo Santi Giovanni e Paolo. 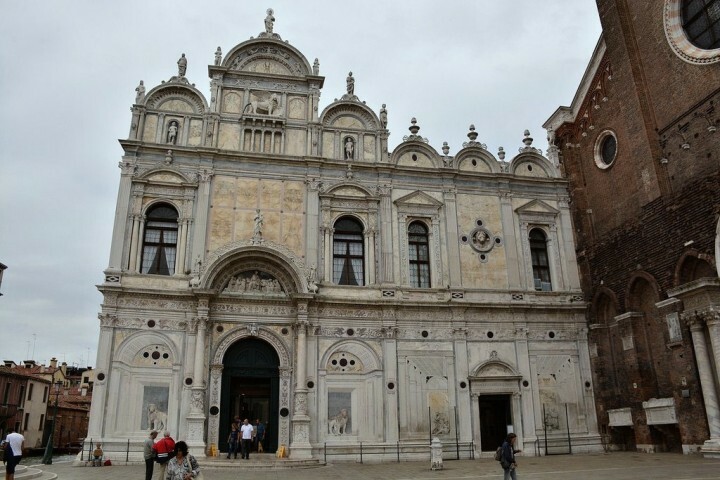 This 15th century Basilica dei Santi Giovanni e Paolo was built in Italian-Gothic style and can be found on one of the most beautiful squares in Venice. Adjacent to the Basilica dei Santi Giovanni e Paolo is another great building of Scuola Grande di San Marco. 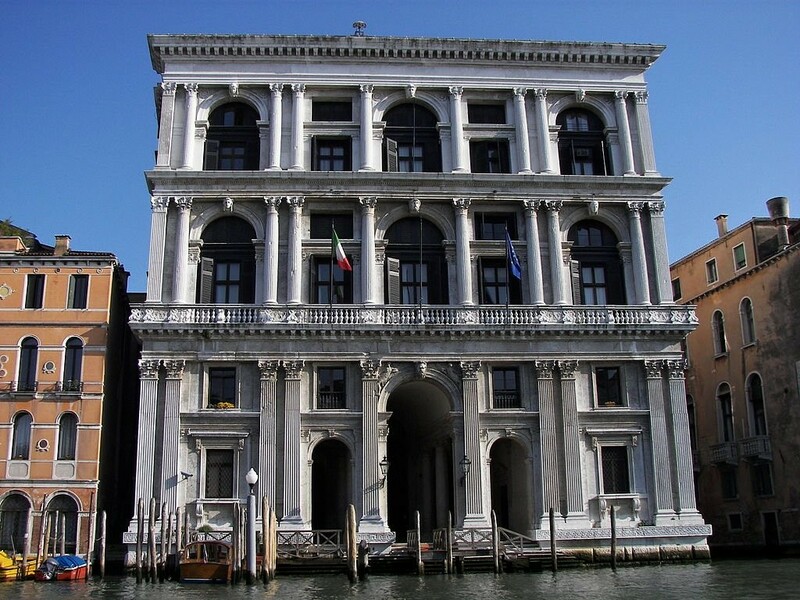 It boasts one of the most beautiful Renaissance facades not only in Venice but throughout the whole of Italy. It was also built in the 15th century and now houses Museum of the History of Medicine, thanks to which you can enter this building. A small island of San Lazzaro degli Armeni is not connected to any other island by bridges, but it is possible to get there by boat only. It lies to the west of the island of Lido and is known for the Armenian Catholic Monastery of San Lazzaro which is one of the world’s most important sites of the Armenian diaspora. If you are a fan of naval history, then you should not miss visiting the Venetian shipyard, known here as Arsenale di Venezia. 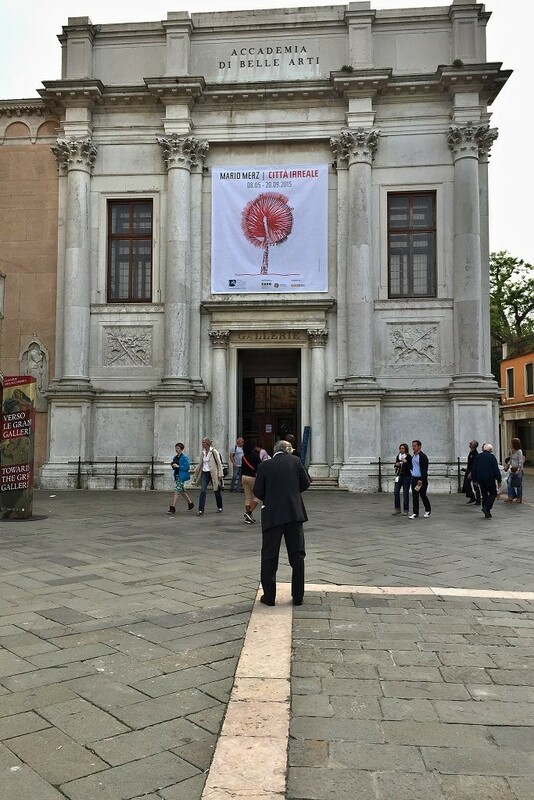 It is located in the heart of Venice and you can enter it almost for free. And you will definitely like it! Venice’s maritime fleet controlled the eastern part of the Mediterranean Sea and you now have an opportunity to visit this huge complex of marine factories, docks, and piers. While strolling the streets of Venice you will surely come to Ponte dell’Accademia. 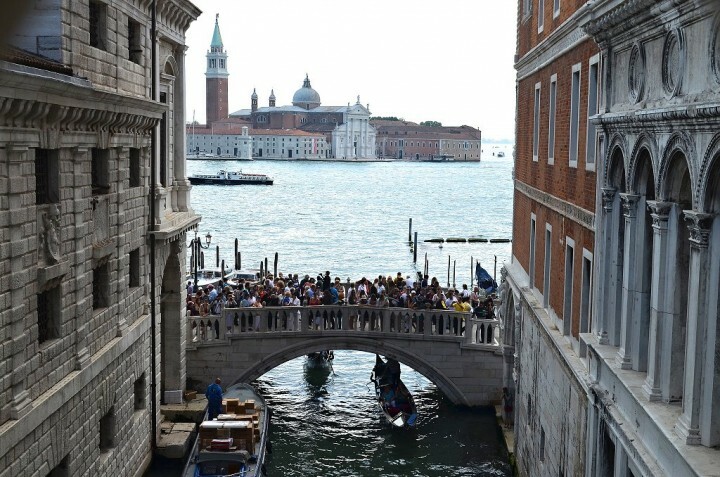 This bridge offers some of the best views of Canal Grande. Being one of only 4 bridges that connect the banks of Canal Grande, it is usually too crowded. But this view really worth it! Originally a steel bridge from the 19th century was later replaced by the wooden bridge which is still standing here, although completely renovated back in 1985. 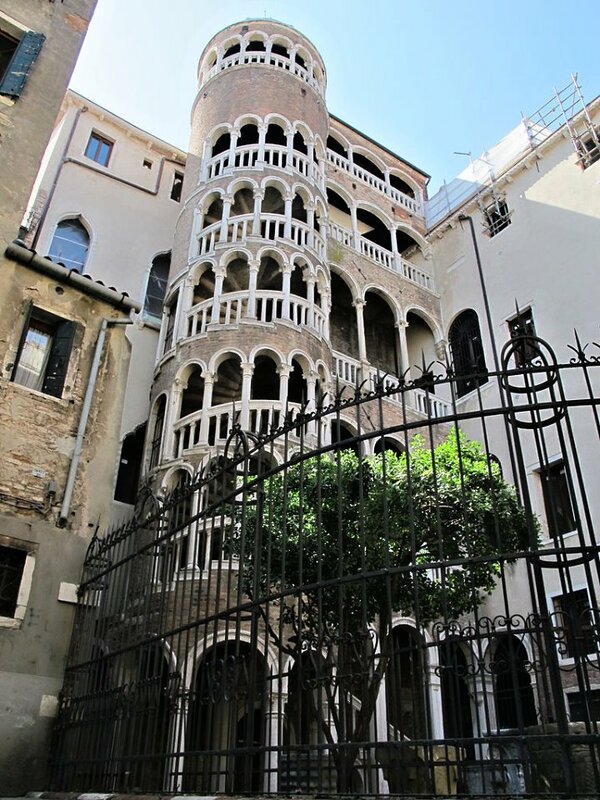 Scala Contarini del Bovolo is the external spiral staircase featured with arches. It is a part of 15th-century palace Palazzo Contarini del Bovolo. From its top, you will be offered excellent views over the city. However, since August 2015 the stairs are closed for restoration works. Have you ever seen a clock with one hand only? If not, in Venice it is possible. 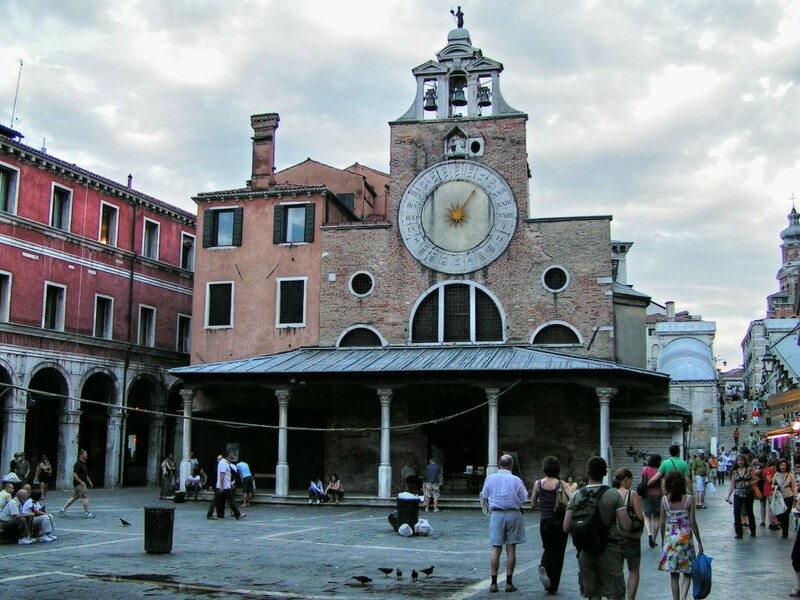 The oldest church in Venice, Chiesa di San Giacomo di Rialto, has such clock on its facade. You can find it just a few steps from Rialto bridge. Dorsoduro is another district of Venice and similarly to other sestiere, even this one has a lot to offer to its visitors. One of its most beautiful parts is definitely Campo San Barnaba, a square with the church of San Barnaba standing on it. Its history dates back to the 9th century. Campo San Barnaba is not the only place worth visiting in Dorsoduro area. 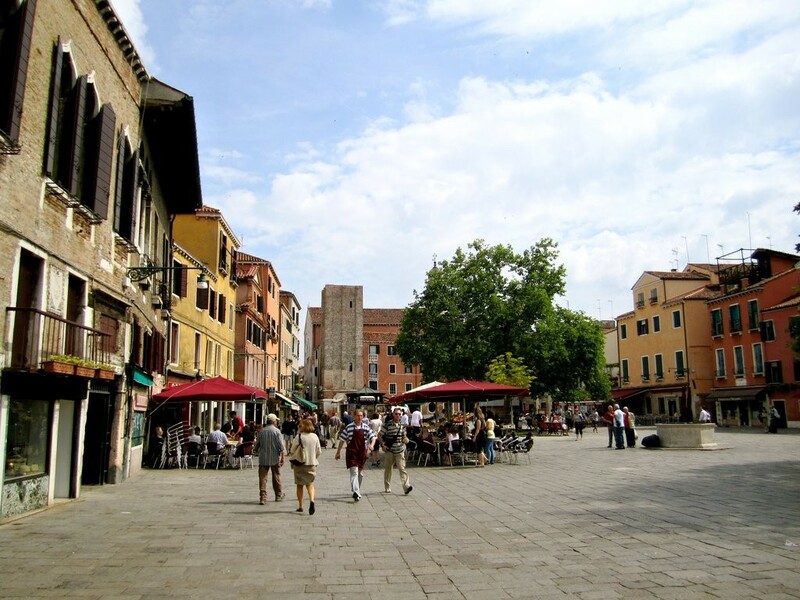 You should also pay a visit to nearby Campo Santa Margherita. It is the largest open space in this area of Venice and is therefore considered the heart of Dorsoduro. Square is busy during the whole day, especially in the afternoon when the stalls are open, but also in the evening, when it is full of students. 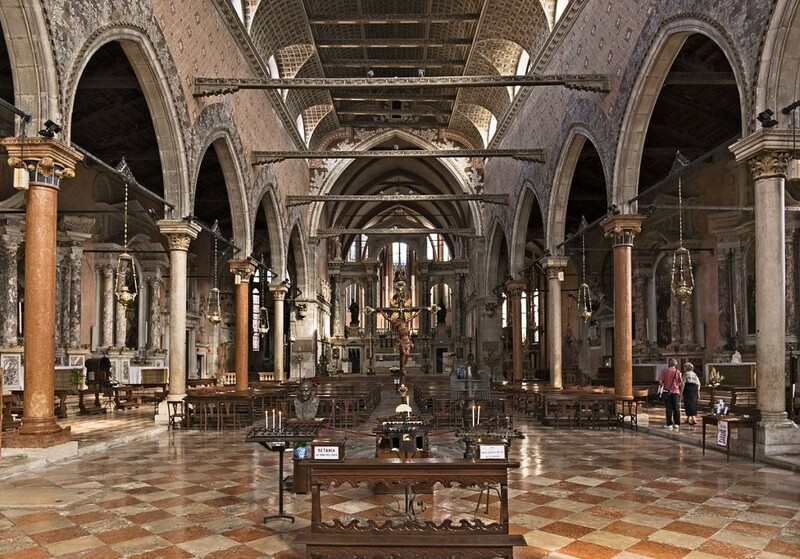 It would be a pity not to visit this unique church of Venice. 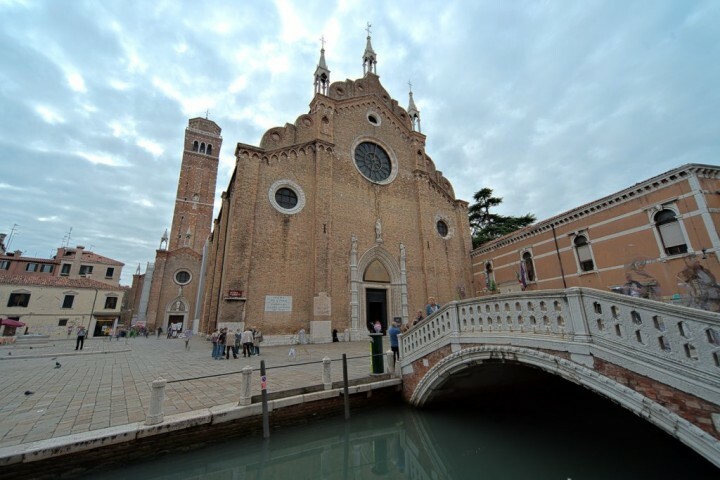 Since Madonna dell’Orto is quite far from the main tourist trails and you would need a good map to get there, it is much easier to get on the Vaporetto somewhere and enjoy your way around the Venetian lagoon up to Madonna dell’Orto Ferry Terminal. On the way to Murano islands, you will then be passing by the separated Venetian island of San Michele. 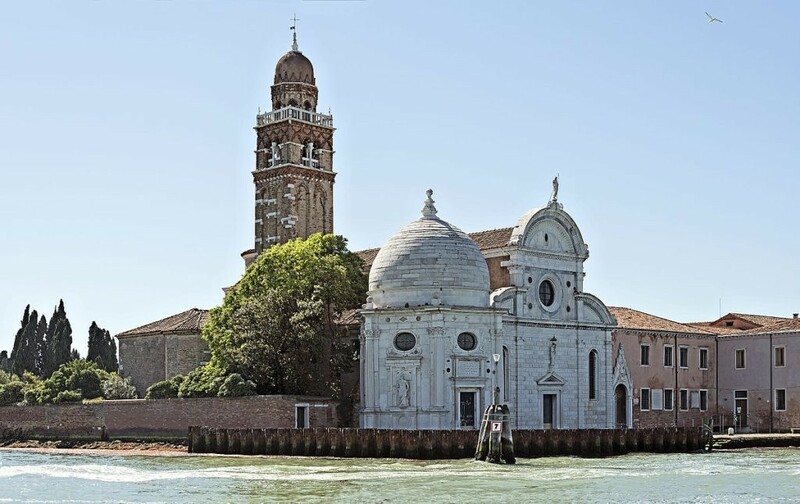 Get off the Vaporetto here and take a closer look at San Cristoforo cemetery, Church S.Michele in Isola, Chapel of San Rocco and the walls around. 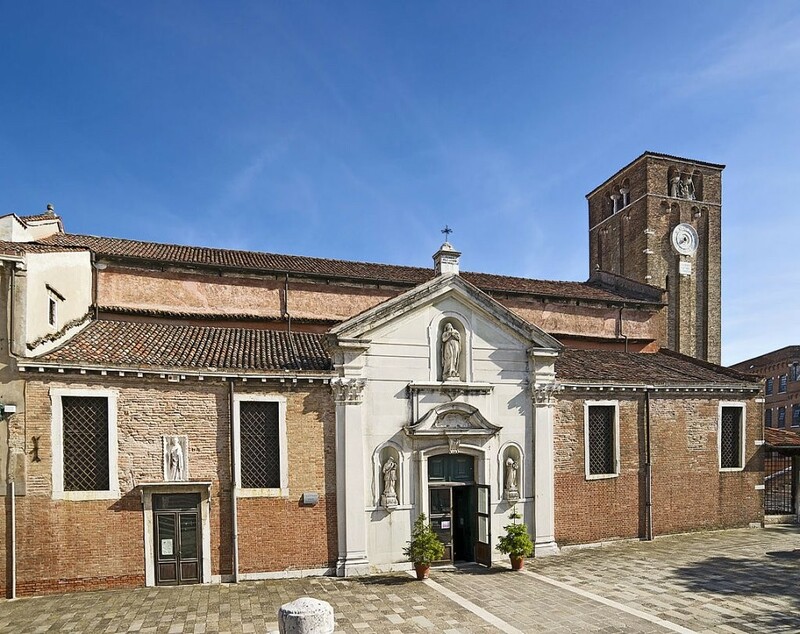 Venice is full of old churches and 12th century Chiesa di San Nicolo dei Mendicoli is another one that cannot be missed on this list. You will find it in Dorsoduro sestiere on its westernmost part. Not far from Ponte Rialto you can see Palazzo Grimani di San Luca standing right on the bank of Canal Grande. It is a 16th-century monumental building designed in the Renaissance style. It is considered the most important structure located in the central part of the canal. Campo Santo Stefano is a nice square in the heart of Venice notable for the large 13th century Church of Santo Stefano. Its 66 meters high leaning campanile is seen from every higher place in the city. But it is mainly portal and interior that will take your breath away. How to get to Venice ? 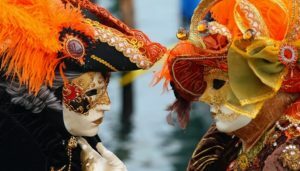 Venice is a city known worldwide, especially for its famous carnival, and it is properly served by its airports. Direct flights with low-cost airlines are operated regularly to Venise-Marco-Polo airport and Treviso airport, located nearby (about 1 hour by shuttle), from all the big european cities. Ryanair, Transavia, Air France, easyJet, Volotea, Vueling… you will have the choice to go to Venice at a low price. To get to Venice, you can search on our partner’s website Skyscanner. 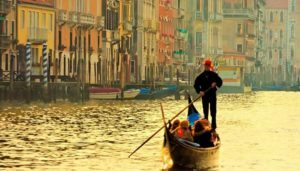 For your arrival in Venice, you can read our articles on how to get to Venice from Marco Polo airport or Treviso airport. Read also our article for how to use public transport in Venice. To visit Venice easily, it is important to locate your accommodation well. You will have plenty of choice for accommodation in Venice. 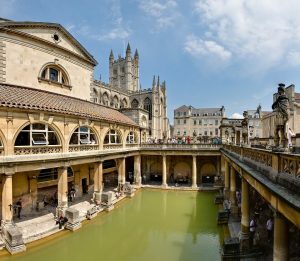 From very affordable youth hostels to charming and luxury hotels, there are no less than 1500 hotels in the city. Select hotels by zones to stay close to tourist attractions! 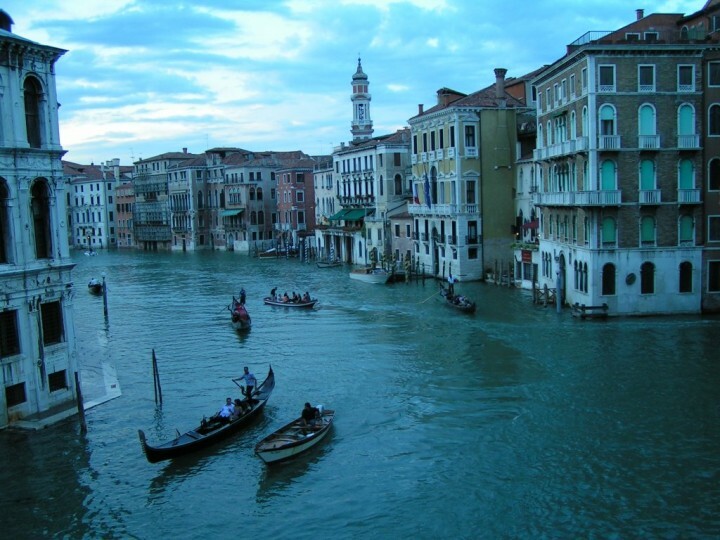 You can find an cheap hotel in Venice by searching on this hotel aggregator. So these were my 35 tips on what to see in Venice. However there are a lot more things to do in Venice, you will find lots of galleries, museums and other attractions here. If you think that some places should be also included on the list, please let me know below in the comments!